I have missed being in the kitchen. A lot. So, it’s good to be back creating yummy meals. The kitchen truly is my happy place… second only to the grocery store. Last week I whipped up this meal, which I refer to as fancy junk food. It may not be the healthiest meal, but it sure was delicious. 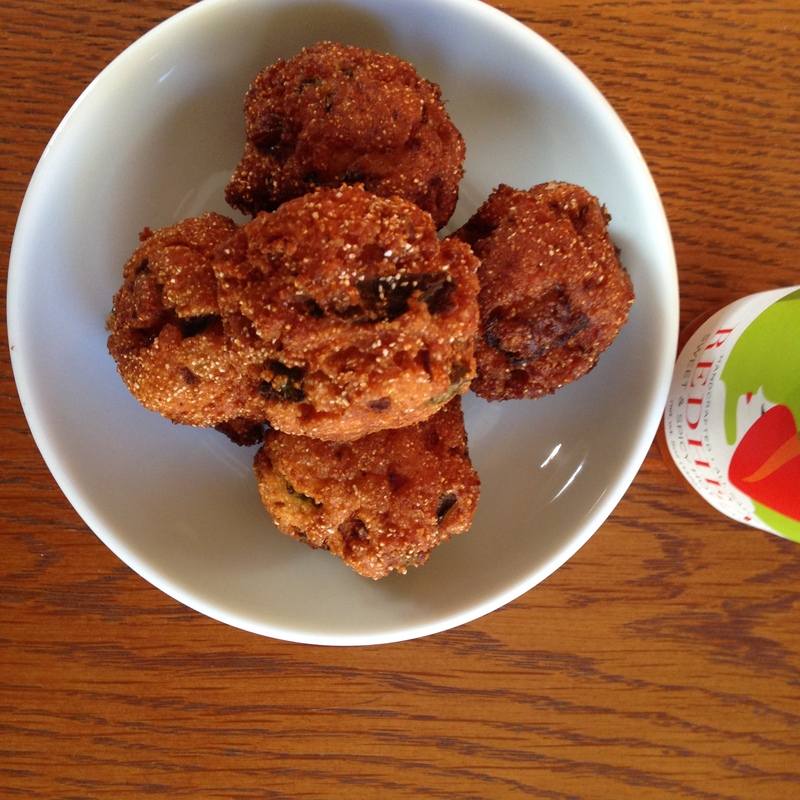 The jalapeño hushpuppies come from my friends at Bird & Cleaver. In fact, it was their recipe that inspired the entire meal. I saw their post and knew I had to try to make the hushpuppies. I dug around for an equally upscale junk food to accompany them. Preheat over to 350. Cut rolls in half and slather with mayo on one side. 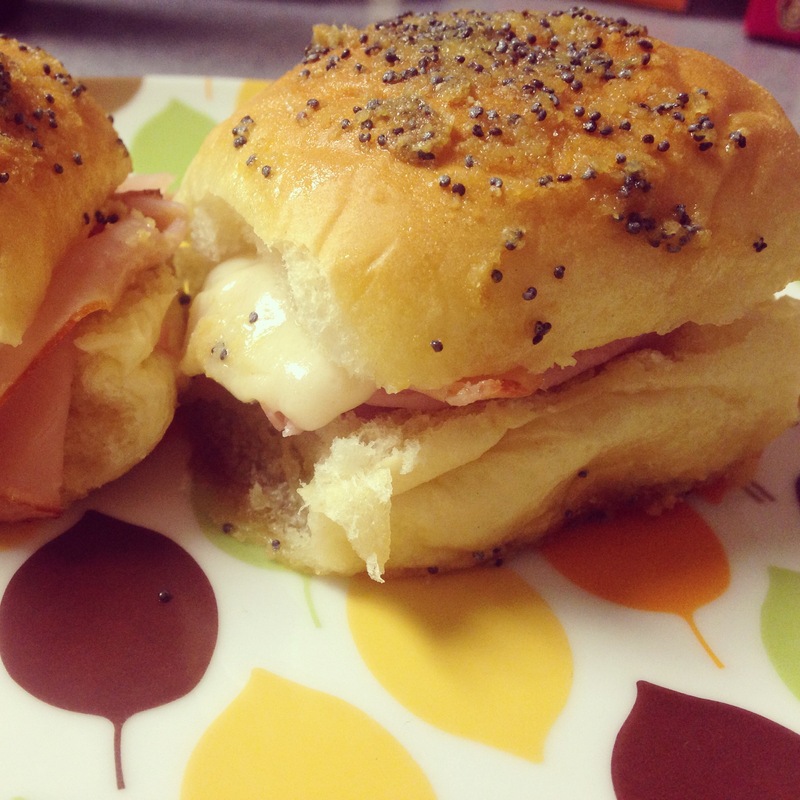 Place a slice or two of ham and swiss cheese on each half. Replace top of roll and bunch them closely together in a baking dish. In a small bowl, whisk together the mayo, dijon mustard, melted butter, onion powder and worcestershire sauce. Pour sauce over rolls. Cover with foil and let sit for 10 minutes. Bake for 10 minutes. Uncover and cook for an additional 2 minutes. Serve immediately. I served the jalapeño hushpuppies with a side of Best Boy’s Redhead Hot Sauce.